So, a few of us have been experimenting with what I call Polanegs, or rather the extraction of a useable negative from Fuji FP-100c instant packfilm. I really like the odd quality that I am getting now, so here is my process, which is a slight evolution of Bob’s process which was an evolution on my advancements from this. 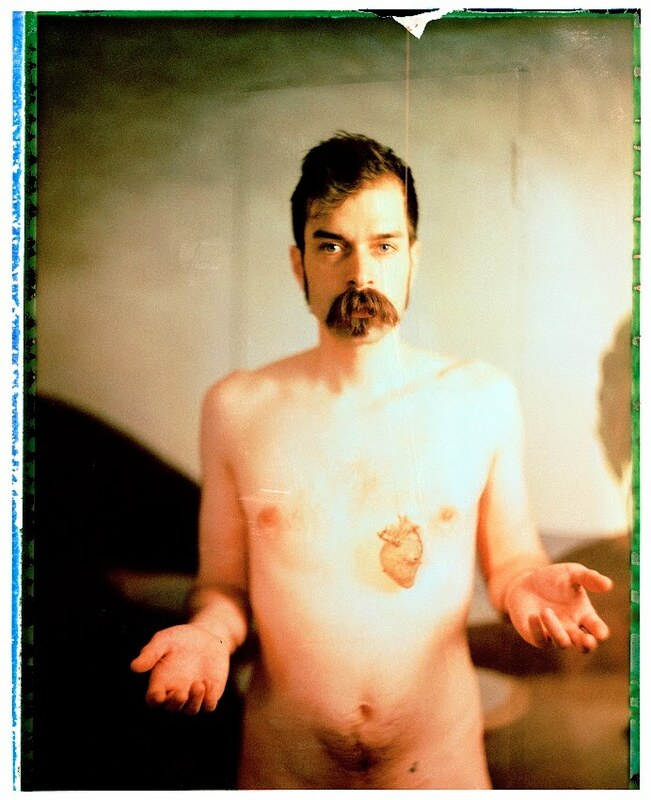 So, you shoot your “polaroids”, and set aside the discarded back to dry. I just set them out, then stack them. 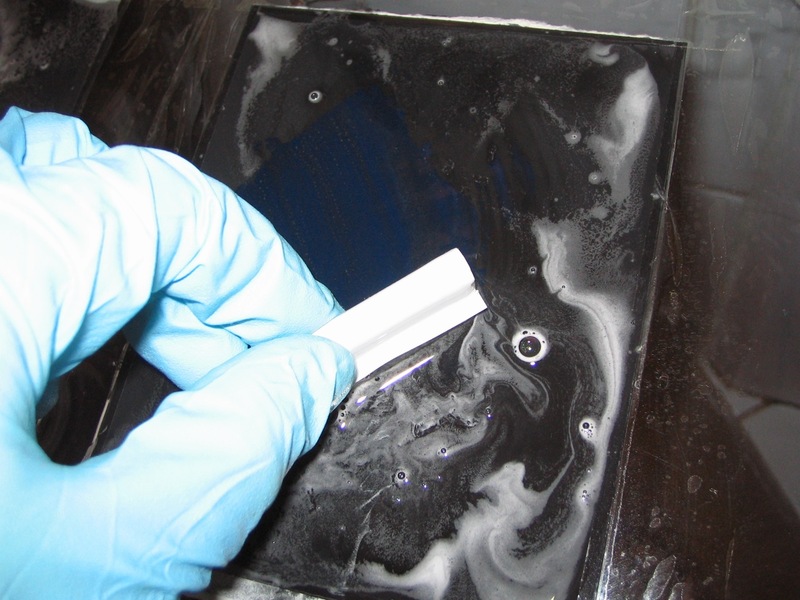 It is important to leave the processing “gunk” on the surface, as this helps to protect the emulsion during the processing. 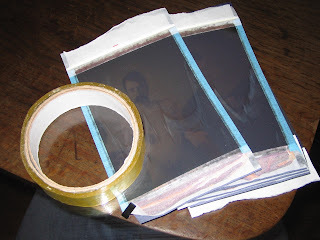 Then, get yourself a sheet of glass and some tape. 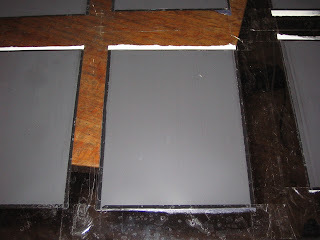 Then tear off the papery bits from the top and bottom, and lay the emulsion down on the glass, and tape each one down completely around the edge. 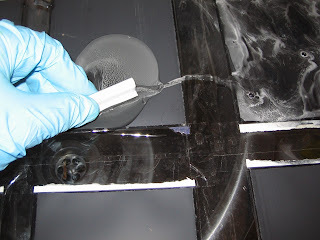 the idea is to form a watertight seal around the edge, but covering as little of the black side of the neg as possible. Then to the wet area, in my case the bathroom. 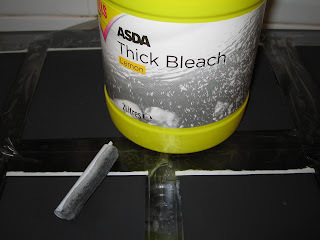 I use “Thick Bleach” as I found that the gel quality to it seems to destroy the black coating much faster than normal bleach, plus it does not run as much, and thus is less of a threat to clothing. But at this stage, of course, wear some form of protective clothing, and maybe a glove or two. Now, onto each, I kind of squeegy a bit of bleach over each image, trying to keep an even coating a couple of millimetres thick, or whatever Archimedes dictates. I then tend to wipe it around a little, to make sure the black is dissolved. We still have not figured out what the black is, and also do not know why bleach seems to be the only thing that dissolves it. 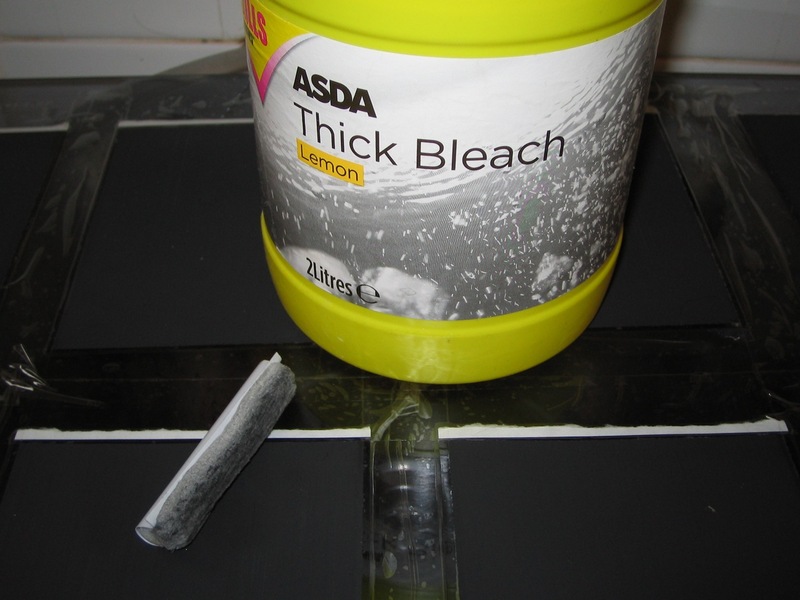 But we have tried lots of chemicals, and this is the only one that seems to work. It seems to only take a few, maybe 30, seconds to do its work, meaning that it can now be washed off. I just use the shower head and COLD water. 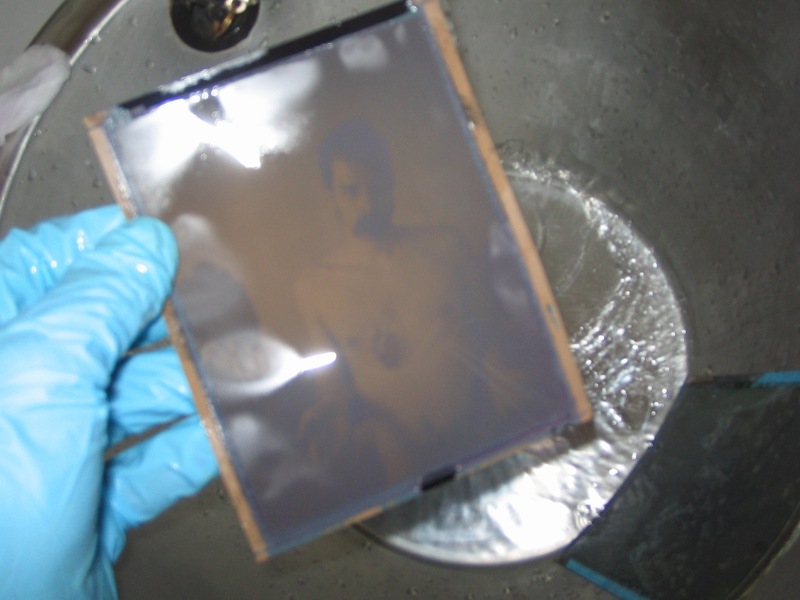 Hot water is likely to soften the tape, which we don’t want. Now, peel off the tape, and de-gunk the emulsion side, and remove the remaining bits of paper. 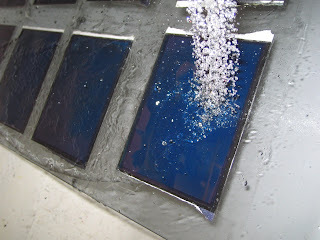 I do this with a piece of cotton wool and hot water. 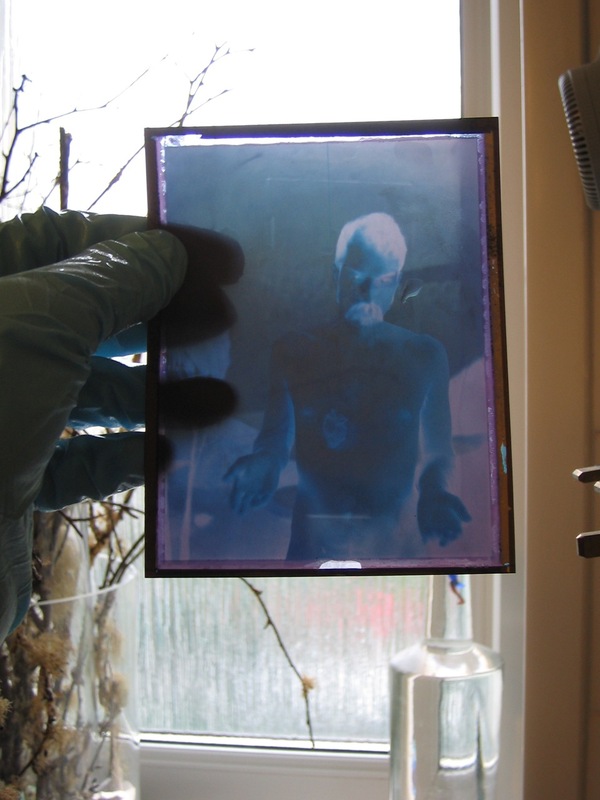 The emulsion seems to be surprisingly robust. 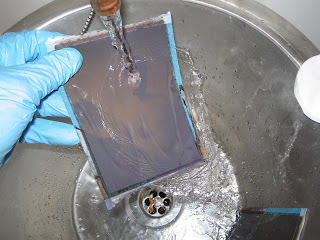 And you will be left with something like this… At which stage, either use PhotoFlo or just plain dishwashing soap, a couple of drops in a small tray of water, and then hang them up to dry. And then Scan… Muck about with standard profiles, I think this started as a Konica negative profile, and tweak it a bit, and then you may get something pleasing indeed.